Building with blocks inspires creativity, promotes problem-solving, and helps develop visual spatial abilities. I love the different colors, textures, and shapes in this set. It’s great for exploring with balance, and engaging in open-ended play. 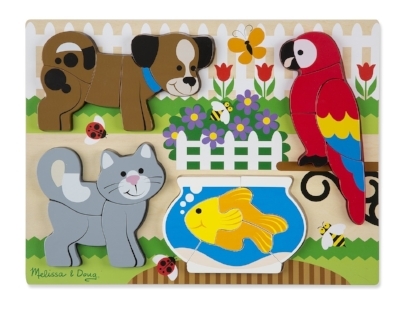 This wooden pet puzzle is a nice way to help transition from baby knob puzzles to interlocking puzzles. It’s simple enough for a 2-year-old to put together but still requires the use of visual perception, problem-solving, and sustained attention to complete. 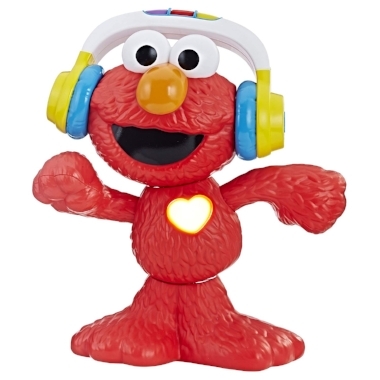 Let’s Dance Elmo dances, sings songs, plays games, and encourages kids to get up and start moving along with him. Playing with Let’s Dance Elmo promotes active play, teaches cause and effect, and can be fun to use in a group to encourage socialization. Besides being super beautiful with lovely details, this house by Green Toys is made out of 100% recycled milk jugs. It is designed to encourage imaginative play and foster creativity. 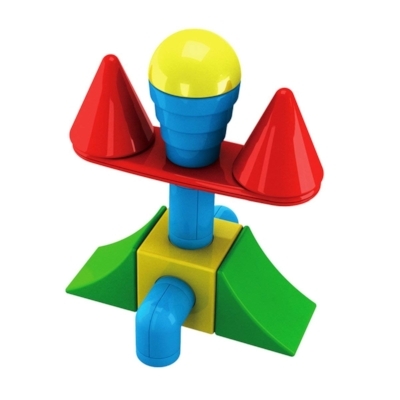 Mag Builder Building Set is a magnetic construction set designed for a younger child. It comes with a variety of unique chunky shapes that easily connect together. Playing with Mag Builder is great for encouraging early visual spatial thinking, building hand strength, inspiring creativity, and promoting coordination. Lalaboom is a lacing and pop bead toy in one. It’s great for encouraging bilateral coordination, building hand strength, working on eye-hand coordination, and inspiring creative play. Playing with Pegboards is a good way to develop fine motor skills and coordination. I love the additional visual perceptual component in this one as kids have to match the colors to complete the picture designs. These foam shape stickers stick to the bath when wet. Besides being super fun and engaging for kids, working on a vertical surface builds strength and develops coordination. 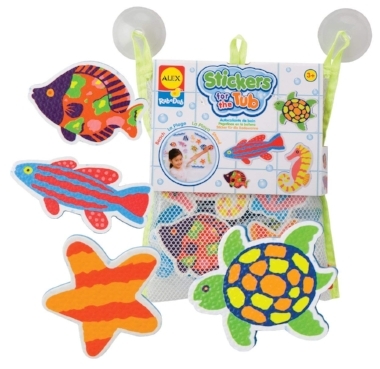 Playing with sticker shapes can also promote communication, vocabulary, and pretend play. Open the magnetic puzzle board to find what’s inside each door. 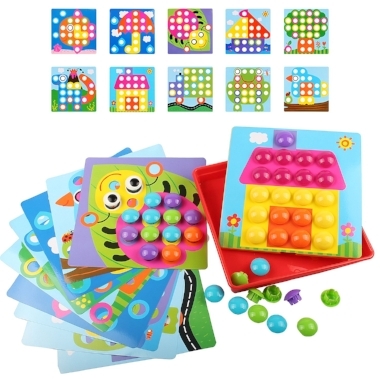 This activity board encourages fine motor skills, visual memory, problem solving, and matching. These plush monster bowling pins are super engaging and fun. They come with weighted bottoms so that they don’t fall over easily. Playing with Monster Bowling encourages eye-hand coordination, turn-taking, problem-solving, balance, and so much more. Playful Pets Hand Puppets are an excellent way to introduce pretend play to little kids. They are also great for working on communication, social skills, and fine motor skills. 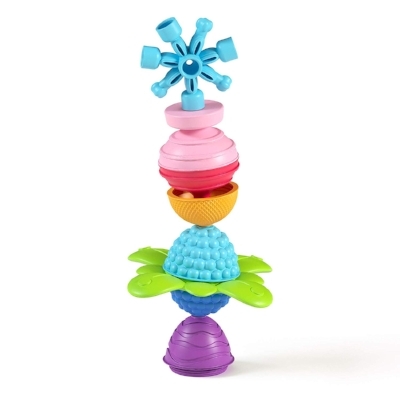 Stackers ‘N Nesters is a unique and versatile open-ended toy that encourages kids to find unique ways to nest, stack, and build. It can be a fantastic addition to other building toys.